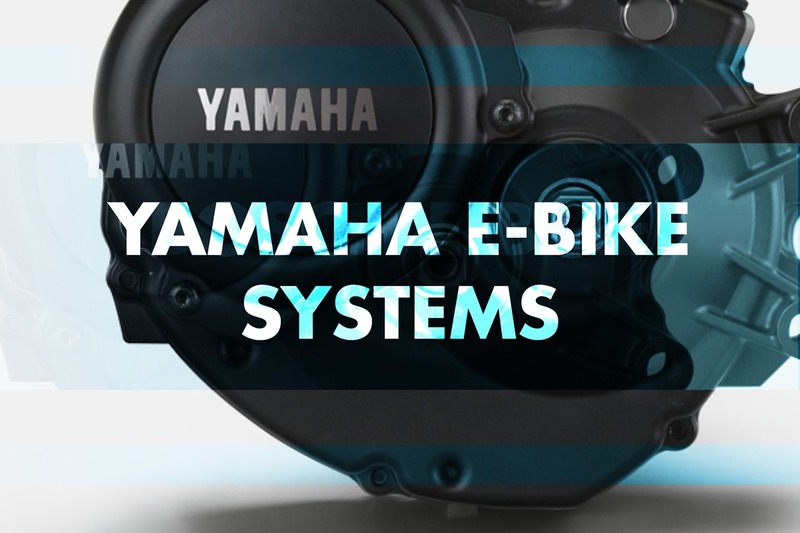 Yahama eBike Systems come in two different models and can be found on a range of electric mountain bikes giving different performance and price points to suit everyone! OFF: Allows you to ride without power assist while switch functions remain enabled. +ECO: Range of +Eco mode will be approximately 30% longer than Eco mode. ECO: Saves energy for an extended cruising range. Best used when cruising on a flat road. STD: Satisfies both power and cruising range. Recommended for daily use. High: Provides a constant and powerful assistance. Perfect for riding uphill. 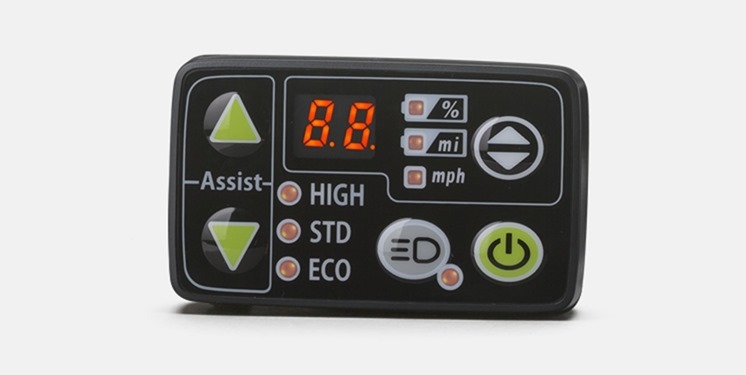 A crank sensor that detects the number of rotations through pedalling. The sensors instantly detect the running conditions and the movement of the rider with precision, allowing for a smooth and powerful assist. 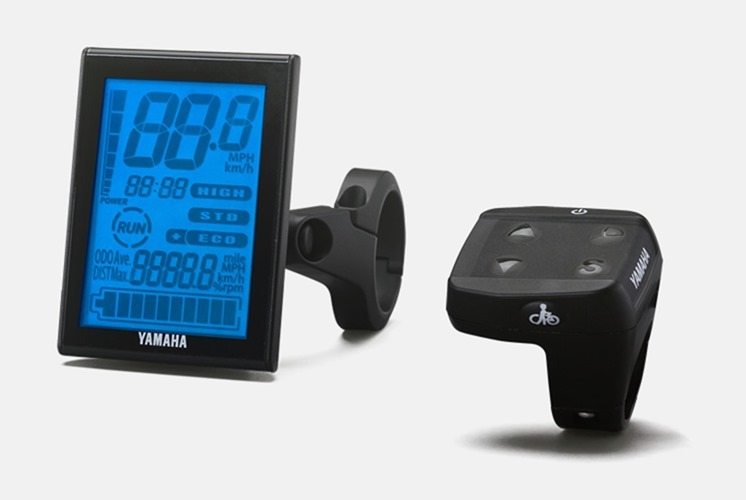 There are two types of main switch available for the Yamaha PW Series unit; the LED 3-way digital display main switch and the LCD multi function Drive Controller. The LCD multi function Drive Controller is designed for all forms of riding. The newly adopted vertical display makes information easily visible. Attachment is also ergonomically designed, with the display on the centre of the handle bars and switches adjacent to the hands. The display can be controlled without taking your hands off the handle bars, resulting in a safer ride, and smoother control of the switch. USB connector is added: 5V electric power can be supplied to connected device & Parameter writing tool can be connected. 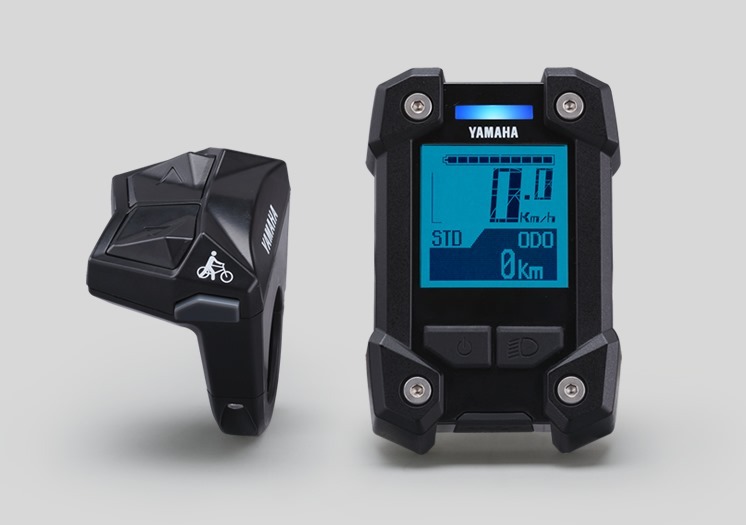 The PW-X System is the top end Yamaha eBike system and can be found on higher end electric mountain bikes. “Being at one with the machine” is Yamaha’s philosophy of development when making this unit making ride and machine truly unite as one. Quick Response: Updated mechanical components and control program realize previously inexperienced "Best Manoeuvrability"
Yamaha have recently updated the interface of their PW-X display unit so it’s simple, tough and located neatly on the bars so you can concentrate on just the ride. In the operation system, Yamaha have introduced a new, ergonomic switch that maintains high operability during any type of riding. 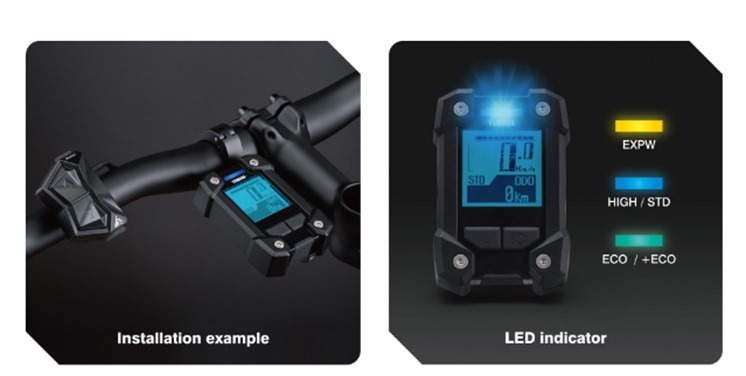 This is married to the LED Assist Mode Indicator that enables you to check the selected mode instantly even during hard riding.